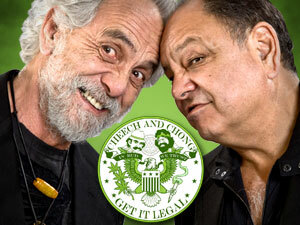 Tommy Chong says America is ready for a female black President and that Oprah is the female Barack Obama. The Weinstein Company is for sale and before that sale, they pulled the plug on 3 films, including The War with Grandpa. The movie stars Robert De Niro and Cheech Marin also appears in the film. The plot: Upset that he has to share the room he loves with his grandfather, Peter decides to declare war in an attempt to get it back. No one will notice this film wasn't released.